H716PB is rated 4.7 out of 5 by 7. Rated 5 out of 5 by Sherry from Beautiful handle I purchased this handle as part of a set. It looks gorgeous against my travertine tile!! It is elegant and such high quality! Shipping was very quick!! I love it!! Rated 5 out of 5 by PRGal11 from Worry free order I was not sure when I placed my order of the correct finish. I did get it wrong but the return process and reorder was only an easy phone call. 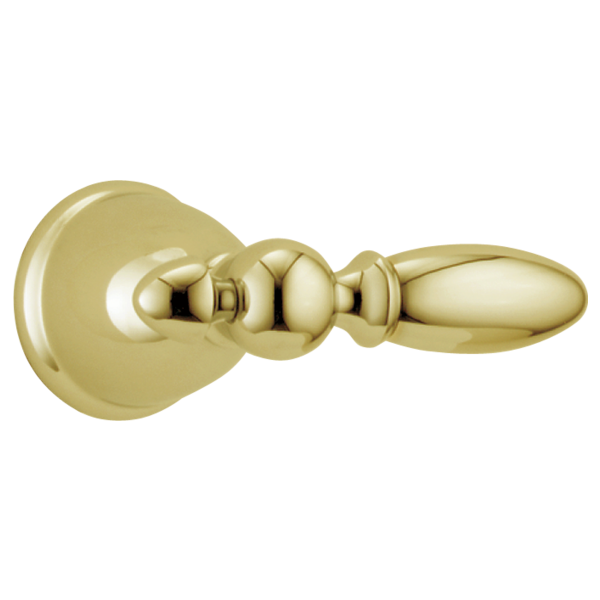 Rated 3 out of 5 by DavidD from Delta Victorian Shower Handle in Bronze this is a beautifully crafted piece of bathroom hardware with a less than durable finish. If you use acids to clean your shower (Tilex or others), beware! 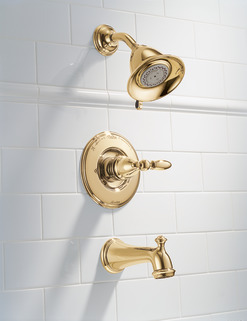 The venetian bronze items also do not stand up to hard water well. Don't get me wrong, the Delta Victorian Venetian Bronze fixtures are stunning! Just beware of the extra care and maintenance required to keep them looking their best. Rated 5 out of 5 by John from Completes My Bath Renovation Matches perfectly with Delta's other products. Always concerned about matching different manufactures finishes but this one is perfect. Will the handle H716RB fit my stem RP1740? I am trying to convert my dated bath fixtures to bronze. All I need are handles to fit my tub supplies for hot and cold. I cannot find ANYONE with a product to help me. My tub faucets are older; the escutcheon plates were Delex/ Delta and looked like big cat eyes. My existing handles are acrylic. I would truly appreciate anything you could do to help. Thank you for your question. Delta Faucet model # H716RB will fit the stem RP1740. However, the bases may not fit correctly. WILL THIS FIT T4797-FL-LHP OR DO I NEED H798? I installed a Delta 13/14 series valve. Handle sticks to far in my installation. Is there a low profile lever or handle that fits this valve ? Thanks..